Iron Song tells the story of Soren, a Danish warrior who is lost at sea during his first battle and washes up on a strange shore. The trials of surviving alone in the wild turn him into a Berserker, one of Odin’s fierce warriors who feel no fear and crave battle. After returning home years later, he becomes unstoppable on the field of battle and joins a campaign to raid the land of Frankia. Soren’s battle prowess gains him both great fame and a host of enemies along the way. Then during the siege of Paris he learns of evil creatures that roam the land, and he leaves behind all that he knows to do battle with this dark foe. 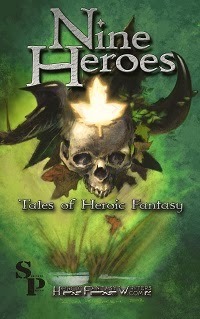 This is a Viking tale that presents a protagonist who is equal parts hero and villain. Warfare during that time was a close up, brutal affair, and Soren was a man filled with bloodlust who thrived in that world and reveled in the death of others. Although "Iron Song" deals with the Danish Vikings, my ancestors came from a place near what is now modern day Oslo in Norway. So with the Viking blood that flows through my veins, I believe I was always meant to write this story. I really enjoyed spending time doing research and getting to know those warriors and the lives they led during the dark ages of this world. The title of the book is taken from a line in "Beowulf" (one of my favorite classic hero tales) and refers to the sound that the sword makes when set to purpose against the enemy. 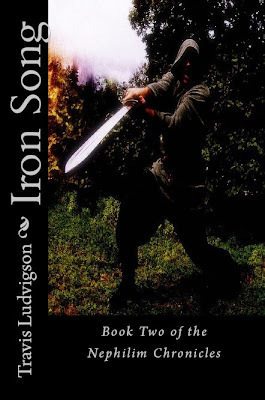 "Iron Song" is the second book in The Nephilim Chronicles, a three part supernatural series that tells the story of an ancient bloodline of warriors chosen to protect the world against the forces of darkness. 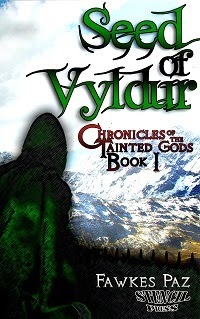 The first book, “Yare’ Darkness Bound” is set in modern times, “Iron Song” in 885 AD, and the last book in the series will take place during the reign of the Emperor Constantine. I have been writing stories since I was a young boy. I have always loved the idea of bringing a story to life on paper. I wrote stories through middle and high school and then went on to take writing courses in college to increase my knowledge and skill. I currently have multiple journals lying around that I use to keep my writing skills sharp. The pages are filled with quotations, free writing exercises, short stories and story ideas. I wrote the first book to fulfill a personal life goal. But as soon as I started I realized that the story should become part of a series. I love writing and have more ideas than time at this point, so I see no time when I won’t be creating something new. I am a huge fan of Bernard Cornwell and tried to emulate him by creating battles that you can see and hear as if you were really there as you read the book. I grew up reading JRR Tolkien and Terry Brooks and have absolutely loved the amazing worlds they each created. With "Iron Song" in particular, I drew great inspiration from the pages of Beowulf. What was it like working with Create Space? I was very happy with the ease of using Create Space and Kindle Direct Publishing (KDP). Both platforms were very user friendly and I would recommend them to others who choose to go the non-traditional route of publishing their work. I had full creative control as well as the ability to make updates and changes quickly and easily. I designed the covers for "Iron Song" and "Yare’ Darkness Bound." As both an author and artist I really believe in the whole book being a part of my own vision and creativity. Much of my publicity has been done online, using my website, Facebook and You Tube. I have also reached out to some of the local book stores in the area as well as talking to people that I know and those that I meet to spread the word. My website is: The Land of the Norseman. My website has information about my books, concept artwork that I have created, reviews of my work and my biography. I also have a Facebook page: A Drop Of Ink. I have put together the outline and am currently conducting research and building character profiles for the final book in the Nephilim Chronicles. 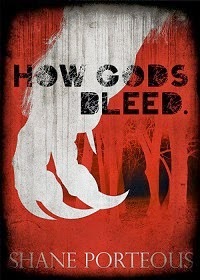 I am also playing around with the idea of a novella based on some of the local monster lore here in Wisconsin. I am a veteran of U.S. Air Force Intelligence and had the opportunity to live and work with people across the U.S. and in several countries around the world. I recently had my first sales overseas (in the UK) and hope to see my books travel around the world as I once did. Thanks Travis! Folks, here are the links for Yare' Darkness Bound and Iron Song! I wasn’t quite sure what to expect from “Tears of Heaven,” the artwork suggested “Blade Runner” but the early chapters take place in a slave market. However, it didn’t take long for RA McCandless to draw me in to an exciting tale of adventure and action. The book alternates between two stories: that of a slave called “Water Lilly” and a demon bounty hunter named Del. Initially I preferred the Del chapters, but about a quarter of the way through the novel, the “Water Lilly” chapters start picking up steam. There is a substantial religious element to “Tears of Heaven” but this is not the literary equivalent of Christian rock. The appropriate corollary that came to my mind was the 2006 Keanu Reeves flick “Constantine” (although even that’s heavier on the religious influence than “Tears of Heaven”). 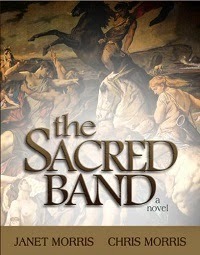 RA McCandless is a new writer with a strong literary voice. He’s got a real knack for dialogue, especially in the scenes that show what a tough cookie Del is. A few of these scenes may go on a touch too long for the tastes of some readers, but I happen to like that kind of thing. It’s difficult to delete good material for the sake of pace, and personally I’m glad that McCandless (or his editor) didn’t. It’s also nice to see an editor give a writer a little bit of slack to weave his or her own particular style of narrative. You can tell that this is a professionally published book (it was released with Wild Child Publishing) since it has the polish of a manuscript that has been worked over several times. It’s a clean work with no grammatical errors. 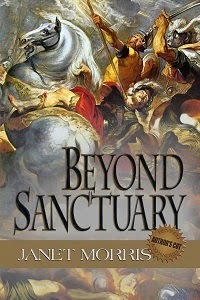 RA McCandless succeeds in taking some familiar story elements and placing them in a unique and vibrant world all his own. I’ll be looking forward to seeing what happens to these characters in the future. To pick up "Tears of Heaven" click here! Let me tell you what's wrong with the Hobbit. First off, there's been a lot of knob-slobbering about the second film in Jackson's self-indulgent trilogy. Critics are raving with statements like "it's not nearly as bad as the first one" and...well...other statements. Honestly, if all the critics were calling the film terrible, I'd be the one piping up to sing the film's praises (it's what I do--that is--not think like the general media), but in this current example, it falls on me to be the naysayer. The movie is a mess. You'll sit there in the dark for 3 zillion hours and constantly say to yourself, "aw...this isn't so bad" or "gee-whiz, I'd really like to like this." But in the end, you're going to find yourself comparing the film unfavorably to the 1977 animated version which, for all its flaws, has one major thing in its favor: IT IS TRUTHFUL TO THE BOOK! Notice what's better about that scene? Yeah...Bilbo is invisible, because if Bilbo WASN'T invisible the scene would be TOTALLY RIDICULOUS! But you know what else is better about this scene? The dialogue is more accurately lifted from the book. In the Jackson version, most of that dialogue still gets in, but the effect is muted because Jackson took it upon himself to scrawl in a bunch of other crap that Smaug never said, and YES you notice when somebody other than Tolkien is penning the dialogue. I was pretty taken by "The Fellowship of the Ring" but with every subsequent film I've been more and more disappointed. Back when "Fellowship" was still in its promotional phase and we were all worried that Jackson was the wrong guy for the job, he said something in an interview that calmed me (and I'm going to paraphrase it out of respect for Jackson's belief that you should never quote an artist accurately). He said that when they were doing the screenplay, they found themselves running into trouble only when they deviated from the printed text. Jackson then went on to gush about how well-thought out the book is and how it needed to reproduced as accurately as possible. Then the first movie was a big hit, then the second movie was a big hit, and by the third movie we've got scenes with guys sliding down the trunks of elephants. Yeah...that scene isn't in Tolkien. What happened was an attack of Hubris. Jackson started out respecting Tolkien's work, but as this process spread out over decades he started to think of himself as the living embodiment of Tolkien in the modern age...like the words of Tolkien can come out of his mouth. In one of the very first scenes of Hobbit 2: Electric Boogaloo you see Jackson as a drunken townsman in Bree. Look, here are my thoughts. Yeah, Jackson is a talented director, but too much of the first movie is just recreating effects we've already seen in LOTR (I mean, you can only have a guy fall on his back and have a ring fall on his finger so many times...Tolkien never even used that once). Oh how I lament that Guillermo del Toro wasn't given the reigns as had been initially planned. I believe this trilogy is in desperate need of the fresh blood of a different visionary director (and there are few in the business as visionary as del Toro, if we're lucky, somebody will give him a crack at the whole series someday...him or Terry Gilliam, imagine a Terry Gilliam LOTR!). If you're going to make a film and call it "The Hobbit" then stick to the book. It's a little bit disrespectful to dead authors to hijack their characters and substitute your story with "The ballad of the blond elf with the whirling knives." Look, Mr. Jackson, if all you want to do is follow an elf around as he slaughters people, then adapt R.A. Salvatore's novels to film and keep your hands of Tolkien. Tolkien's books star HOBBITS! I've had my problems with the reviews of Roger Ebert in the past, but in his initial treatment of FOTR he said that the Hobbits had unfortunately been pushed to the background. I didn't see it then, but I see it now. It's odd how after watching 6 hours of this gargantuan Hobbit epic, it's hard to look back and think of an emotional scene involving Bilbo Baggins. What's really weird is that a lumbering 9 hour adaptation of a 200 page book goes at such a breakneck pace that there is still time to leave things out. For example, the approach of the company to the home of Beorn the skin changer involves this delightful little deception where Gandalf makes all the dwarves approach two at a time, so he can get Beorn involved in a story without overwhelming him with the numbers of the group. It's a clever little moment that tells us a lot about Gandalf's character. Jackson deleted it in favor of having the company be...chased into Beorn's house, by Beorn in bear form. Also rushed is the Spiders in Mirkwood scene. I don't know, that could have been a half hour or so because it's a pretty seminal moment for old Bilbo now isn't it? But Martin Freeman barely has a chance to say, "I shall call you sting" before the wood elves appear (except they're never having a feast as appeared in the book). I guess Jackson was just more excited about filming his new character Tauriel who he just invented for the series so that Kili could have a love interest. Yeah, it's a interracial/interspecies love triangle--how forward thinking Mr. Jackson, Tolkien was too wrapped up in his conservative life philosophy, glad you "fixed" that. But Legolas is going to be pissed. These days I've got kids, so I don't live and die so much by what films are being released. I only got the chance to see this one due to a thousand year alignment of the stars. Sure, I left the theater more or less satisfied, but I've been finding myself growing angrier at the film upon reflection. The worst of it is that it's just a shame. Massive budget, talented actors (although Richard Armitage does not look like Thorin Oakenshield, heck, he doesn't look like a dwarf at all), beautiful cinematography, and it's all ruined by pride. The Hobbit is not a story that belongs to you Mr. Jackson. If you want dwarves to go down water slides on rivers of gold then write your own epic. If ideas like that aren't strong enough to stand on their own, then who are you to be injecting them into Tolkien's expertly crafted world? Well, this is embarrassing! I try to help out my fellow writers in any way I can, so I was delighted when Cas Peace wrote to tell me she was doing a major re-launch for her terrific "Artesans of Albia" series. I quickly put together a list of interview questions and shipped them off to her. Now, like most of the rest of you, I'm beset by projects and my head is often in the clouds. One of my meager attempts at organization is to use my gmail inbox as a "to do" list. The first thing I have to do in the morning is delete all the BS that I seem to get sent on a daily basis. After that, I put stars next to the emails that seem important (I don't usually open them and read them...I just put stars next to them so I can run around worried about what might be in those mysterious, nagging emails). Anyway, Cas quickly replied with her interview answers, and in a very rare case of me being on top of things, I immediately opened the email and posted her wonderful interview. The second I hit the "publish" button, that interview hit the WWW. It was like scattering feathers to the wind, I couldn't bring them back if I wanted to (but I couldn't conceive of any reason why I would want to, so it was all OK). Anyway, a few days later I get a message from Cas asking my why I'd published the interview already since the re-release wasn't suppose to take place until 8 days later. D'oH! I felt bad of course, but Cas said she'd forgive me as long as I followed up with a correct post on the 15th (which this is...I hope). You never want to get on a writer's bad side. 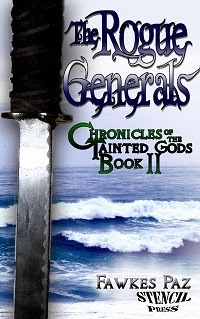 What I really want to avoid is the existence of an incompetent general named Waller or something in an upcoming Artesans book who screws up a major military offensive by sending his troops in to battle 8 days early (writers are conniving, and this is the way they take vengeance for all eternity). 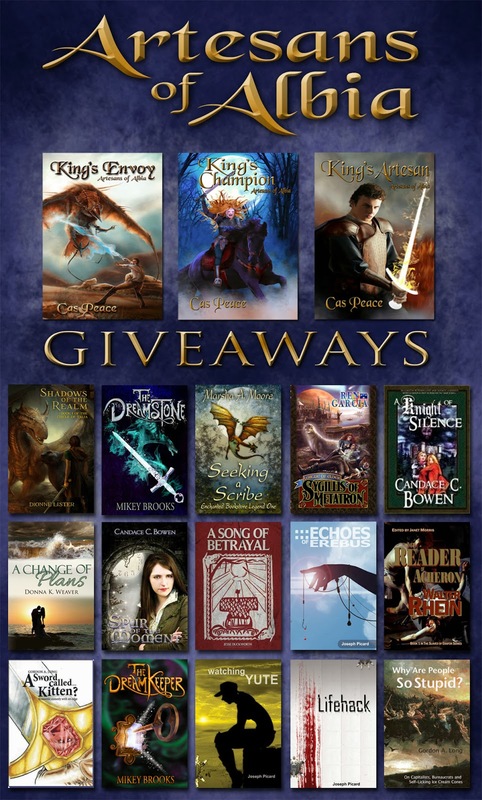 Cas has got a great giveaway going which you can check out here (they sent me a widget but it didn't work quite right for some reason, so I'm just providing a link). You can check out Cas's web page here. And I highly recommend you check out the previous interview I posted here. Slowly dying, Sullyan escapes his clutches. She offers her skills to the Hierarch in defence of his throne, finally confronting Rykan on the field of battle. Her handsome Captain and lover, Robin Tamsen, embarks on a desperate quest to recover the Staff. But Rykan's greedy General, Sonten, is two steps ahead of him. If Robin cannot lay hold of the weapon before Sonten does, Sullyan's life and the lives of all Artesans are forfeit. And here is the video trailer for the series! There! I hope I've atoned for my previous incompetence and General Waller will never ride on his inglorious charge :) ! Good luck with the re-launch Cas! This is the kind of book you have always wished to read, but you didn’t know that it existed. It’s essentially the story of a dashing pirate captain in the midst of an opium raid, but the wrinkle that makes this story especially unique is that a significant amount of action takes place on floating airships. Imagine a World War II zeppelin with Captain Hook’s ship dangling beneath and you have a nice starting point for the type of mental state you’re going to engage throughout this work. There is a certain amount of romance and magic just in the image of a floating pirate ship. Who wouldn’t want to spend a little time in a world that can boast things like that? This book is billed as “steampunk” and although that term is accurate, this is kind of an entry-level example of the genre in my opinion. I’ve read some steampunk with some pretty wild conceptualizations (to the point that they distract from the functionality of the novel as a whole) and that’s not the case here. I’m by no means a steampunk expert, and I liked the balance that this book struck. My guess is that it will be appealing to both steampunk fanatics and casual readers. The plot centers around the heist and attempted recuperation of a shipment of opium. The pirates who steal the shipment are a colorful lot led by Captain Bonny—who is one of those “ruffian gentlemen” rogues. I enjoyed how the conflict of this novel centered around fairly mundane things. 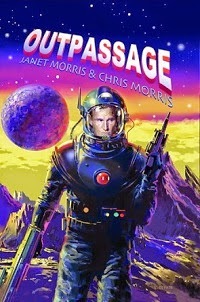 The pirates steal the opium and then attempt to unload it for a profit as their being pursued by a single agent who is wholly unprepared and ill-equipped for the undertaking. 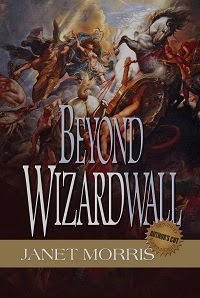 I enjoyed the blend of a semi-mundane plot on the backdrop of a fantastical world. I thought that functioned to add realism to the book. I also enjoyed the mythology of the pirates who lead rather romantic lives (as pirates so often do) despite the often violent realities of their situation. 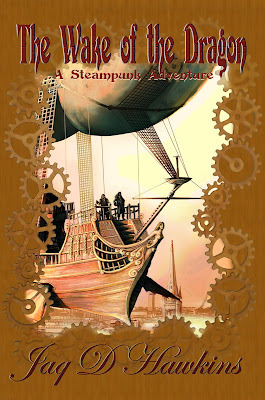 This novel is great for those of you who are fans of pirate literature (of which there is too little) and who are curious about what steampunk is. “The Wake of the Dragon” is a fine and effective introduction to the genre, and I think it will please more demanding steampunk readers as well. Click here to go to the Wake of the Dragon Amazon page! This is a re-release of the "Artesans of Albia" series, can you discuss your experience with the original publication of these books? First I'd like so say a HUGE thank you, Walter, for helping out with my relaunch, and for posing me such interesting questions. I had much fun answering them! 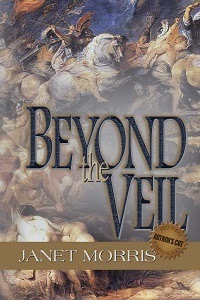 The books originally came out with indie publisher Rhemalda Publishing. The first book was available in August 2011, and the next two books followed, each a year apart. I did already have a self-published non-fiction book out there, titled For The Love of Daisy, but my fantasy series was my first experience of a 'traditional' publisher. I have to say that I found it all very exciting. Rhemalda was a relatively new company, and I realized there might be some risk in this, but I was prepared to take it. My thinking was that they stood as much to win or lose as I did over my books, and that meant they would do all they could to make them successful. I learned such a lot from Rhemalda - about cover design, about layout, about using social media, and about marketing. It was a blow when they were forced to close, but I have to commend them for being very straight and honest with me, and for returning all my rights with no fuss and plenty of help. I now feel so much better equipped to handle my books as a self-published author. Tell me about the new cover design. Who is the artist? 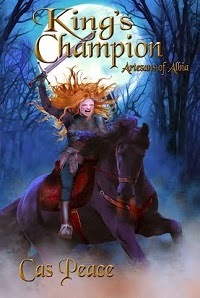 The artist who designed the new covers for King's Champion and King's Artesan is Mikey Brooks. http://www.insidemikeysworld.com/ I met Mikey in 2011 at the "Rhemalda Publishing Got Stories?" conference in Utah. We hit it off and have been good friends ever since. I edited Mikey's two MG fantasy novels, The Dream Keeper (2012) and The Dreamstone (2013), and another novel not yet published. As well as being an author, and father to three young girls, Mikey is also an illustrator and designer, so when I was thinking of changing two of my covers, he was right there, eager to help. I love the new designs, and working with Mikey was a dream. He's already made a start on the cover for my fourth Artesans novel! The appeal of a book cover is such a personal thing. As an author, you want the cover to represent what's inside your book, but you also know that its main function is to attract readers. Your personal tastes should take second place to the business aspect of the design, and that's what happened with my second two covers. I always loved the cover of King's Envoy. It was entirely my vision, realized to perfection by digital artist Eve Ventrue. Yet Eve was not available for the next two covers, and I always felt that they didn't quite fit what I would have chosen. 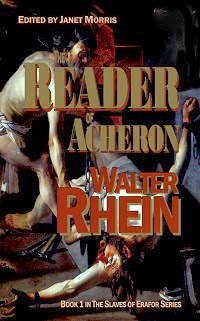 The third cover especially. Getting the chance to redesign them was the one thing that kept my spirits up during the closure of Rhemalda, and the uncertainty I felt over my writing career. These are the first three books in a larger series. Can you tell us about the rest of the series and when you expect those works to be published? Oh, yes! 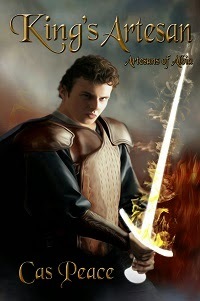 The Artesans of Albia series is a triple-trilogy, and all nine books have already been written. I carried on with the series while trying to get the first book published, so by the time I snared a publisher, all nine books were complete. That's not to say they're ready for publication - they need editing - but I have a firm time frame for their publication. The first trilogy, the eponymous Artesans of Albia, concerns the deadly weapon known as the Staff. The novels deal with its discovery, its power, its effect on those who come into contact with it, and its implications for Artesans and the entire world. 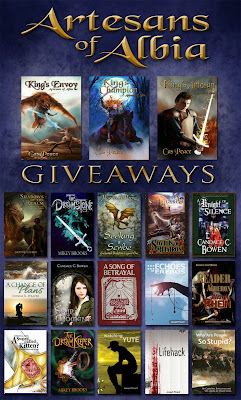 Those three books, King's Envoy, King's Champion, and King's Artesan, are available right now. The second trilogy, Circle of Conspiracy, deals with the creator of the Staff and the plans the weapon was created to achieve. I'm not going into any more detail than that, otherwise I'll give too much away! 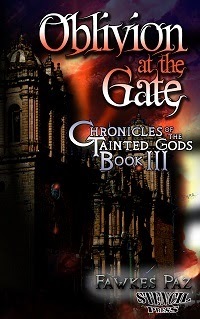 The first book in this set, The Challenge, is scheduled for publication in Spring 2014; the second, The Circle, in Fall 2014; and the third, Full Circle, in Spring 2015. The first in this set, The Scarecrow, is due out in Fall 2015; the second, The Vagrant, in Spring 2016; and the final novel, The Gateway, in Fall 2016. I understand that there are some performances available of the songs that appear in your books, can you tell us about that? Before I was a writer, I was a singer. I learned to sing in childhood by listening to folk bands like Steeleye Span and Fairport Convention. Sandy Denny was my idol. I saved up and bought a Spanish guitar when I was 15, and took lessons at school. Soon, I was writing and singing my own songs, and performing some of them in my local church. Music is a huge part of my life, and it percolated quite naturally into my writing. My characters inhabit a medieval-style world where singing and playing music was one of the major forms of entertainment. I could not help but incorporate it into their lives. 'The Wheel Will Turn', from King's Envoy, is an integral part of the book, but I didn't at first even dream of making it into an actual song. It was only when I was trying to find a USP for my series, something unique and interesting that would grab readers' attention, that I realized I already had the perfect vehicle. If I could put music to the 'song' in the book, I could record it and offer it to readers. I am fortunate in that my brother is also a musician, and a much better guitar player than me! He and the guy he writes with have a small recording studio and they record their own stuff. So they gave me masses of help with producing 'The Wheel'. We decided to perform it live for the King's Envoy book launch I organized in my home town, and our local shopping mall agreed to let us erect a small stage and perform the song. The video of this performance is on my website: www.caspeace.com. Once I had 'The Wheel' under my belt, and saw how well it was received, I knew I had to continue with writing songs for all my books. 'The Wheel' is essentially a love song, a song of hope. King's Champion has a sea shanty called 'The Ballad of Tallimore', and the song for King's Artesan is called 'Morgan's Song (All That We Are)'. This song will appear at various times throughout the series, but all the books will have unique music. We are currently working on an instrumental called 'Larksong' for Book 4, The Challenge. It will have vocals, just not actual words. It's great fun and I love being able to use my other talents to help readers connect with my books. Major Sullyan is the strong female protagonist of these novels, and she is forced to endure some pretty horrific situations. What was your motivation for dealing with the themes and scenarios which you have chosen? I'm glad you asked this question. Every story must contain conflict, and when I decided I wanted to create a powerful, beautiful, but still entirely credible female fantasy lead, I knew I was going to have to pull out all the stops where conflict was concerned. Sullyan lives in a male-dominated culture, and her chosen profession - Albia's military - is even more so. She has to be able to hold her own among these hard-bitten types, and even be able to lead them, without being either a harridan, an archetypal Amazonian woman, or someone who holds her position through unnatural means (i.e., her own powers). This meant she had to endure life experiences that such men would respect, as respect is earned and won; it cannot be forced. Also, because of what comes later in the series, I needed her to have a powerful motivation for what she does. She becomes a champion of those weaker than herself, and such sentiments are often much deeper and stronger in those who have suffered trauma. I also needed a reason for her to 'lose it' sometimes. She had to be flawed, otherwise she would not be credible. I know from your review that you felt skeptical about one aspect of her life experiences - I am hoping that as you read further, you will come to understand why that aspect exists (Editor interruption--here's the review that Cas is referring to). 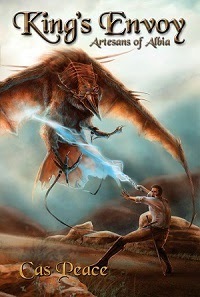 The dual world situation that you have created in Artesans brought to mind Raymond E Feist's "Riftwar Saga" for me. Is he among your influences? If not, who is? Overall, how have these books been received? What other writing projects do you have besides "Artesans of Albia?" At the moment, relaunching the first trilogy, and prepping Book 4, The Challenge, is taking all my time. I'm also a freelance editor and proofreader, so I don't get much free time. I seem to need an empty and bored brain for ideas to present themselves, and I'm still undergoing 4 years of pretty intense stuff over 'Artesans'. I do, however, have one project, although it's connected. Once two of my books were published, I realized I'd missed a trick with Sullyan. I ought to have started earlier in her life. My books are aimed primarily at adults, although there is nothing in the first 6 that younger people couldn't read. My characters rarely use strong language (Sullyan's soldier curses are seldom written down!) and I have had readers as young as 12 thoroughly enjoy the books. But I can't market them as MG or YA because of the characters' ages. Yet YA is one of the fastest growing age-groups, and it's also one where readers freely share, by word-of-mouth, FB, Twitter, etc, the books they love. And that's what I want to tap into. So my project is a prequel to the Artesans series, dealing with Sullyan's early life and how she developed her awesome powers. Its working title is Maiden of Mystery, and all I can say is - watch this space! Where should we go to learn more about you? Many thanks once again for hosting me, Walter - you are a star!